For the first time in its 42 year history, the California Bluegrass Association will be participating in the San Francisco Pride Parade! We will have several live bands playing on the CBA float, and a whole bunch of us bluegrass pickers will be marching (or riding personal mobility scooters) alongside to spread the gospel of bluegrass and celebrate our community's commitment to diversity and inclusivity. You're all invited to march with us on Sunday, June 25th and to bring your instruments if you like. We'll be jamming both before and after the parade. To join the Bluegrass Pride contingent, please sign up here. Stay involved by following us on facebook, twitter, and instagram, and tagging us with #BluegrassPride. Our basic budget for the project is $10,000. The main expenses are rental costs (for the truck, trailer, and sound system) and printing costs (for banners, t-shirts, stickers, flyers, etc.). But if we're able to rasie more, we'd love to get a bigger trailer and sound system. We're going to need every watt of power we can get to keep up with the other giant sound systems in the parade! 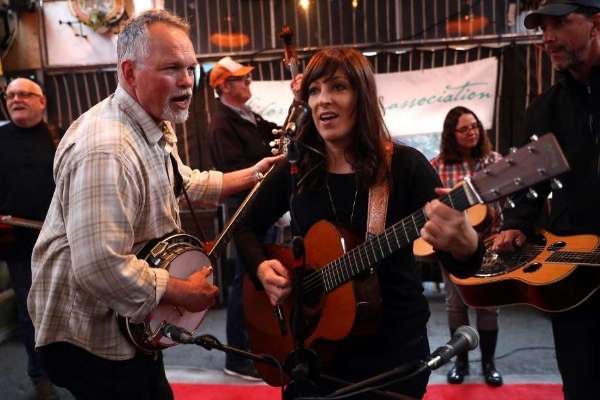 The California Bluegrass Association is a 501c3 nonprofit, so all contributions are tax deducitble, and documentation is automatically provided. Join us in making bluegrass history! Exciting news: Bluegrass Pride was selected as a finalist for "Best Overall Contingent" in the SF Pride Parade! Wow! And then can you take one more more minute to spread the word on facebook, twitter, email, etc.? Voting closes Friday at 6pm, so please help us out today! 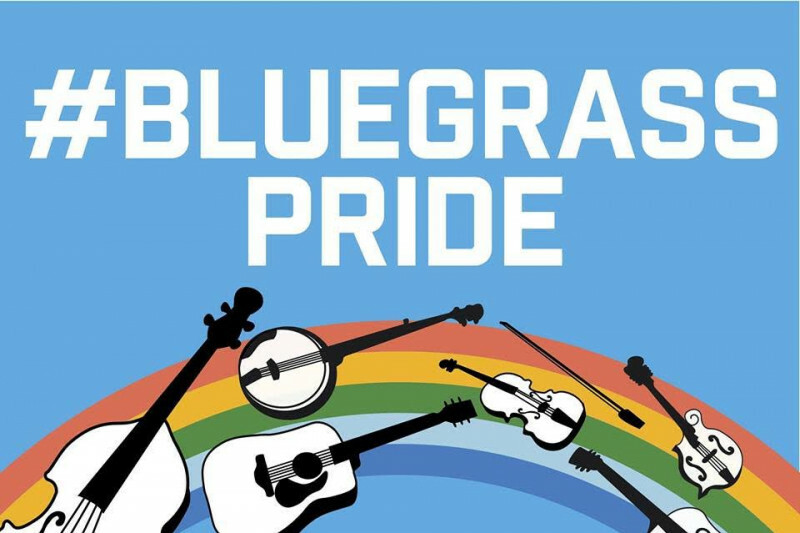 Happy Pride week, Bluegrass Pride supporters! It's all coming together, and we want to make sure you have all the info to join in the fun. Bill Evans, Windy Hill, Jon Weisberger, Justin Hiltner, Karen Celia Heil, Brandon Godman, and many more! Look who's on the front page of the Chronicle! A whole bunch of people are learning about us for the first time, and we've already seen over $700 in contributions today! Can you help amplify it by sharing the link to the story on Facebook, and then also post a link to the gofundme page in the comments? Happy to support such a worthy cause! A wonderful, inspired project. The Bluegrass community needs more outreach -- and "inreach", to persuade it own members -- like this!